This weeks issue is short and sweet as we've been busy preparing Atomic for our beta launch. We’re really excited that we can now share it openly, so anyone can start designing, prototyping and collaborating with a free account. We’d love to hear what you think. 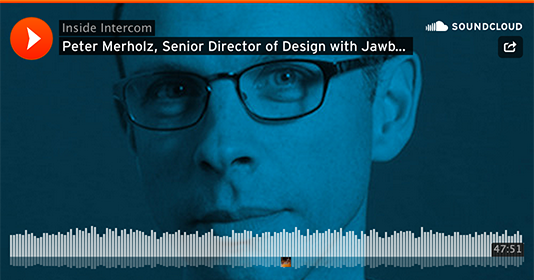 A great chat between product design guru Peter Merholz and Intercom's Des Traynor. They discuss the role of the product manager and the evolving field of product design within organisations. Once you get past the linkedin surroundings, there’s a great message here. The more exposure you have with real users, the better your product will be. Benedict Evans distills the age old apps vs web debate into a simple question: Do people want to put your icon on their home screen? Emmi Hintz documents a Material redesign of the Aviary photo app and realises that design guidelines shouldn’t be hard rules. Google agree. In just 20 years MOMA has produced over 200 project specific websites. This article gives some context and shows how far we’ve come. Thou shalt design forms that are easy to use and understand by following these 10 commandments henceforth.